Home AUTO TRADE BINARY OPTIONS BINARY.COM IQ OPTION STRATEGY TRADING What Is Different from Binary Options and Forex? What Is Different from Binary Options and Forex? Although binary options (BO) are now gaining popularity in the market, following the long-standing forex spot trading, there are still many parties who do not understand the difference between trading binary options and forex. Equally traded online, using the same instrument too, then where is the difference? 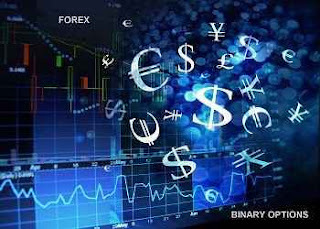 Before discussing which aspects mark different binary options and forex, please note that binary options do not really trade currencies, unlike in forex trading. There are no profits or losses that fluctuate according to the ups and downs of the currency. 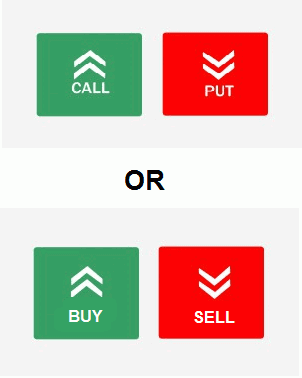 In binary options, both the level of profit, loss, and time of close position are determined before opening a position. "Open the" call "option if you expect EUR / USD to rise within 1 hour". Such information often appears in binary options trading platforms. From there it is clear that the focus lies in the direction of the EUR / USD movement, whether it will go up or down. Where and when prices will move is the main aspect. There are no additional calculations such as lot trading, order types, let alone stop loss levels as in forex. In binary options, the size of a trade is determined by the value of capital (in dollars). From all trading account balances, you can take 5%, 10%, or even 20% to be used as capital. But remember, the amount of capital also determines the amount of risk per position. Once the option is closed loss, all the capital you place will be sold out. Example: You deposit as much as $ 100, and take 10% of that amount as capital per option. So, the amount of capital at the same time the risk of loss per position is as much as $ 10. In forex, the trading size is determined by the lot value. These lots vary, from standard, mini, micro, to nano lots. One standard lot is worth $ 100,000, while 1 mini lot is equal to $ 10,000. The smaller the lot, the smaller the size of your trading. It is impossible to know for sure how much loss or profit will be obtained, because the level of loss or loss fluctuates according to price movements. The risk count here is not final, but only a risk per pip. If the entry is a standard lot, then your trading risk is not absolutely worth $ 100,000 but depends on how much the price moves. There is no buy or sell in BO, because you do not buy or sell the assets that are traded. Orders in BO generally involve call / put, or can also be called high / low. Suppose you take the "put" option, provided the price drops lower than its original position in the allotted time, even if only 1 pips, you will end up in-the-money (profit). Apart from the high / low type, there are also other types of touch / no touch and in / out orders. In forex trading, there are direct buy / sell orders, as well as pending orders, usually in the form of limits and stop orders. The essence of all types of orders above is actually the same, namely to buy or sell currency instruments based on predictions of the ups and downs of the currency. So, the greater the increase or decrease, the more influential the amount of your profit and loss. This inevitably requires forex traders to take special steps in order to maximize profits when prices are trending. The amount of profit and loss that you will receive can be estimated with certainty in Binary Options. This is made possible by the system of placing capital as the amount of investment for each option. For example, you open a "call" option with a capital of USD100. That means, if the option fails, you will lose all the capital. But what if the option is successful? The USD100 capital will be added to the amount of profit according to the payout rate. Payout is the percentage of profit that you set before opening the option. Therefore, suppose you before placing the "call" option choose payout 80%, then the return amount is $ 180. The measure of profit and loss in BO is fixed, no matter how far the price moves. On the other hand, the amount of profit or loss cannot be calculated with certainty in forex. As long as the order is still open, your trading gain can continue to increase or decrease following the level of price movements. However, this can be overcome by placing a stop loss to limit losses, or take profit to lock in profits. Trading BO does not charge any trading fees. There are no spreads or commissions in each position that you open. Calculation of profit and loss has been calculated based on the amount of capital and rate payout that you choose yourself. Meanwhile, forex brokers charge a spread or commission that is automatically charged directly to your trading position. The size of this spread can vary depending on the broker and the pair used. When there is an increase in volatility, spreads can also widen above normal. Binary Options only adopts one close position mode, which is expiry time. This feature can automatically close binary options according to the size of the time you set yourself. For example, you open a EUR / USD "call" option with expiry time of 1 hour, then the option will only last for 1 hour. When expiry runs out, the "call" option will close automatically. This expansion can be very important, because if when the price is closed it is not at a higher level than its original position, that option means out-of-the-money (failure or loss). This expiry time selection can be adjusted to your trading period. In forex, there are 3 types of close positions: manually, hit by stop loss / take profit, and hit by a margin call. The third option is the nightmare of each trader because it indicates the amount of equity has been eroded by floating prices. From that, every trader will try to close the position in 2 other ways before being hit by a margin call. Unlike BOs whose estimated expiration is determined before opening an option, manually closing is done when the order position is running. Stop loss or take profit can be planned before opening a position, but you can still change the level when the position is still running. Almost all binary options trading platforms are provided in the Webtrader format. That is, you don't need to download any application to be able to place an option. Thus, the BO trading process can take place more easily, only to open a web broker and operate trading from there. However, the variety of trading platforms in binary can be very diverse with a variety of different features. To be able to find out more about the binary platform you can browse the provider first. Each platform provider has its own display concept and features, so that even if used at different brokers, you will be easier to recognize and adapt to the platform. MT4 is still the main choice in forex trading. This download platform is provided on almost all forex brokers, and in general there are many reliable traders. Not only MT4, forex brokers also now provide many Webtrading platform models. In this case, forex trading may be superior to binary options. Technical indicators available on the forex trading platform are usually more diverse. It can be concluded that both forex and binary options both have advantages and disadvantages. Trading binary options has the advantage that you can find out all about the protection of the amount of profit, loss, and how long the option will run. Meanwhile, ordinary forex trading provides an option to be able to take advantage of price fluctuations and use the MT4 tested platform. Despite having several differences, binary options and forex also have similarities. Both the placement of options in binary options and opening orders in forex both require trading analysis to increase profit opportunities. In addition, you also need to implement risk management to overcome losses in binary options and forex. However, trading is an activity that can provide high profit opportunities but is also very risky if it is not carried out with caution.